Once you notice that your asphalt surface can use some repair, but you are not yet ready to fully commit to a total re-pavement, an asphalt overlay is your ideal choice. Asphalt overlaying is basically a quick improvement which can be made to any property to make the current owner more comfortable or attract new clients and business. An asphalt overlay is the most affordable solution to give some revamp to your asphalt surface. Different from asphalt replacement or asphalt resurfacing, an asphalt overlay doesn’t require any removal of the old asphalt. All necessary repairs must be completed first to the existing pavement before the application. There must be no form of debris or dirt on the asphalt pavement. Storm sewers, as well as other objects, might require risers to compensate for the additional height of the brand new pavement. Tack coat must be applied to the existing pavement to assist with a better binding of the newly applied pavement. Asphalt will be installed once everything is done, with around 1 to 2 inches of asphalt being applied in an asphalt overlay process. 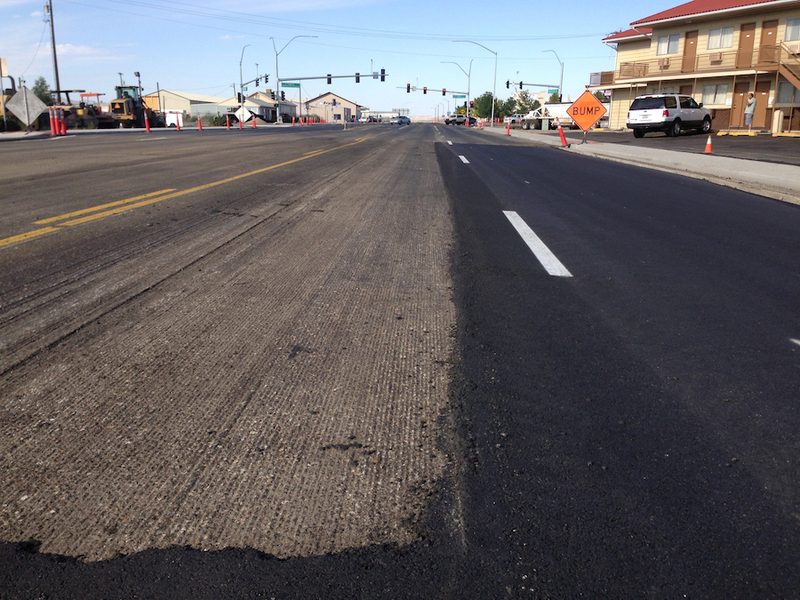 The benefits of asphalt overlay are almost the same with those of getting a whole new pavement. Obviously, the biggest benefit lies in the appearance of the paved surface. An asphalt overlay can provide a dark, solid, and smooth surface similar to what you have seen there several years ago during the application of the original asphalt. This work can help reduce noise levels, enhance ride quality, as well as reduce the complete life cycle values of the surface. The moment the asphalt surface starts to age, there is a high chance that it will start to crack and become unstable. An asphalt overlay can restore of the ability of the surface to handle all forms of heavy traffic on its sealed and smooth surface. The dust and loose stones from the old asphalt will also be minimized and covered beneath the underlay. Aside from the improved surface, one more notable advantage of overlaying commercial areas is the reduced amount of construction time. 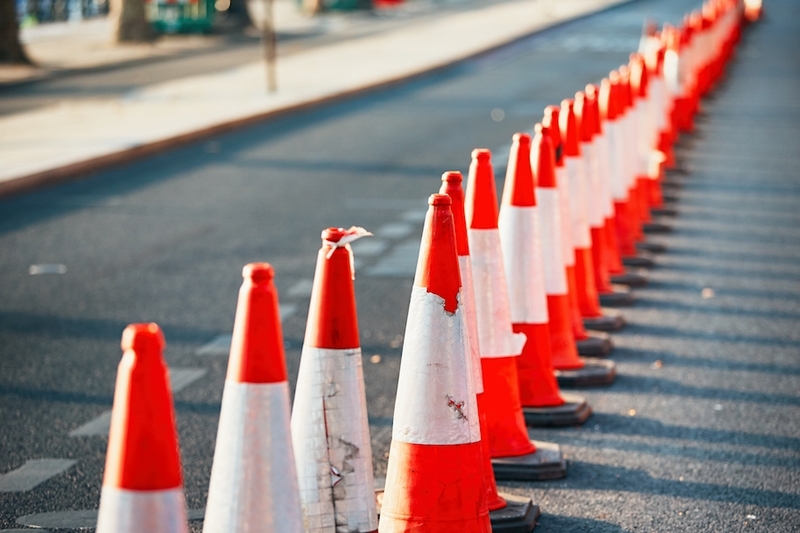 An asphalt overlay doesn’t require any curing time, so there will only be minor traffic delays. Get the appearance of brand new asphalt pavement with no cost usually associated with a complete removal. It is more affordable compared to asphalt replacement or asphalt resurfacing.There is lesser down time to complete your project. The existing asphalt pavement must be in stable condition without any need for major repairs. All alligatored asphalt, depressions, and potholes must be repaired before the installation of new surface. No need for sub-base replacement. Consider the existing height of curbs, concrete, walkways, storm sewers, and gutters. Check with the village for requirements on asphalt overlay and issues with water drainage.